for families and professionals: United shaping the future for CDG"
Leuven, Belgium - 15 and 16 July 2017. 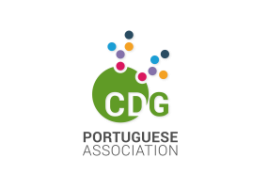 The "World Conference on Congenital Disorders of Glycosylation (WCCDG) for Families and Professionals” is a biennial event fruitfully designed in collaboration with leading experts in the field of CDG: families and professionals work together to exchange knowledge, experiences, needs and perspectives. The largest World event that gathers Congenital Disorders of Glycosylation (CDG) families and professionals. 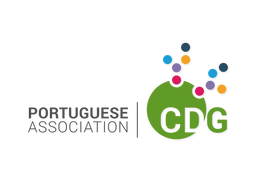 With keynotes and roundtables, this event is designed to tackle the most important challenges facing the Congenital Disorders of Glycosylation (CDG) community! 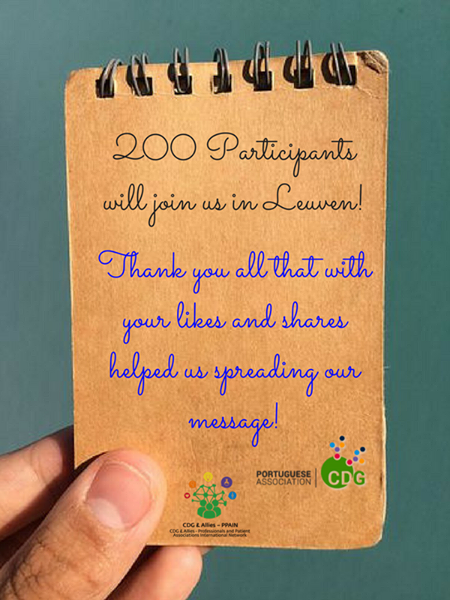 Join the:"I go to the WCCDG Leuven,2017! It is with great pleasure that we invite you to the "3rd World Conference on CDG: United shaping the future for CDG" planned to be held in Leuven, Belgium - 15 and 16 July 2017. 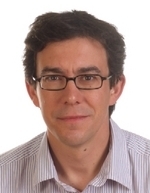 This World Conference on CDG will provide a patient-tailored program which will highlight important information in the clinical and research area, as we progress to our goal of better care and improvement of the quality of life of people living with CDG and related metabolic rare diseases. 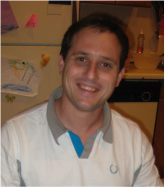 The Scientific-Medical and Family organizing committee is sure that this unique event will be unforgettable and look forward to welcoming you to this Third World CDG conference. We would like to express our thanks to all experts, professionals and families, for their outstanding contributions and in particular to the members of the committees for their contribution and helpful support. Likewise we would also like to express our appreciation to the speakers, as well as to the invited chairs for their careful preparation of the invited sessions. 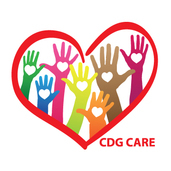 CDG families together with professionals can make the difference! Laying the groundwork for future stages of research and development based on family’s needs is the most rewarding aspect of this World Conference–boosting translational research will be a dream come true! 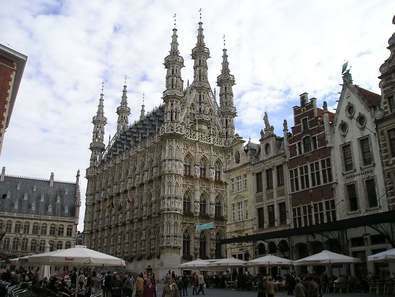 We are looking forward to seeing you in Leuven! On behalf of the organizing committee. 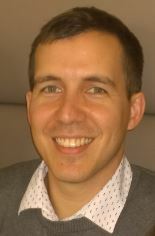 Who will be the World Conference on CDG Speakers? Information about the 3rd World Conference on CDG on 15-16th July 2017 in Leuven (Belgium), including biographies, are available HERE. ​Take you time to get to know them better! information from English to French. Barbara Vulso, mother to Leo and singer. information from English to Italian. Isabelle Bros, mom to Jeanne who suffers ALG11-CDG (CDG 1p), and responsible for regional social housing in France. She is doing tremendous efforts to connect with other families, to increase awareness and to learn more about her daughter's condition. There are less that 10 patients reported in the literature with ALG11-CDG (CDG 1p). Because of high variety of CDG symptoms and the resemblance to other diseases, diagnosis of this CDG type might be demanding. 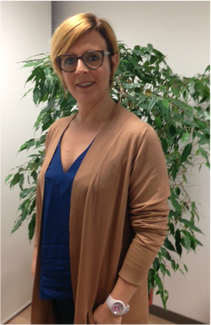 Isabelle, will liaise families affected by rarer CDG's that are coming to Leuven. 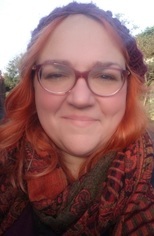 She will also be moderating the conference group discussion for these group of diseases planned to be held during the conference in Leuven (2017). 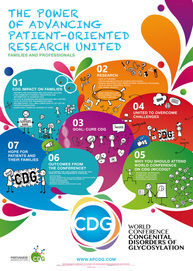 The World Conference on CDG for families and professionals: brings families and professionals together from accross the world to accelerate CDG patient-centered research. The ultimate goal: To change the course of CDG, and find cures in our lifetime. Join us on Facebook and be updated on the "3rd World Conference on CDG: United shaping the future for CDG" will be held in Leuven, Belgium - 15 and 16 July 2017. Symbol "World Conference on Congenital Disorders of Glycosylation for Families and Professionals"
The "World Conference on Congenital Disorders of Glycosylation for Families and Professionals" Symbol was selected by our World CDG community through a votation process in 2015. It recognizes the continuous efforts that families and professionals, are doing united to boost research. The urgent goal: to achieve a better quality of life for our CDG children and adults in our lifetime. It is our hope that the logo will make the conference easily recognizable and memorable at the international level. Importantly, it will boost visibility for CDG and its community needs. Infographic "World Conference on Congenital Disorders of Glycosylation for Families and Professionals"
Facebook cover "World Conference on Congenital Disorders of Glycosylation for Families and Professionals"
When the event is close, change your Facebook cover to the World Conference on CDG Facebook cover. You just have to save one of the covers available below. When the event is close, use our Email signature to spread the word about the World Conference on CDG. You just have to save one of the emails signature available below. Watch and Share the video that summarizes the best moments lived in the Second World Conference on CDG. 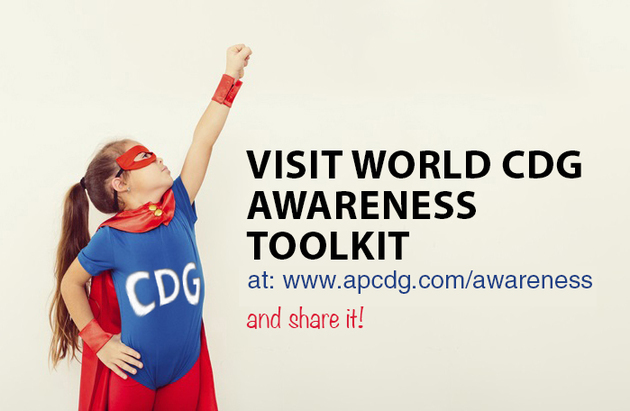 It gives a simple, yet informative explanation of what means your attendance during the next World Conference on CDG.